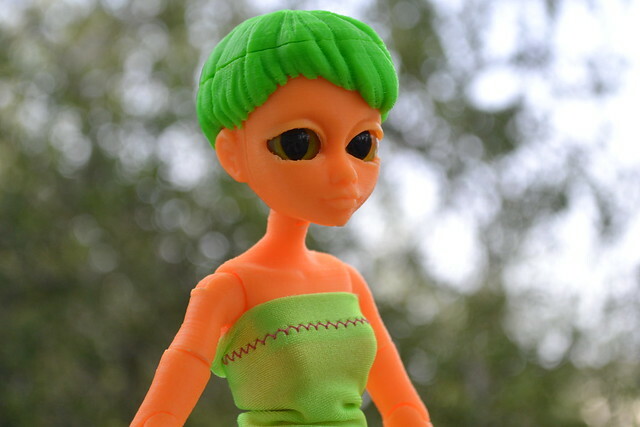 We want to thank our friends at 3DKitBash.com for their amazing doll, Quin. You may have heard me mention her, a few times. The Kickstarter was a success! 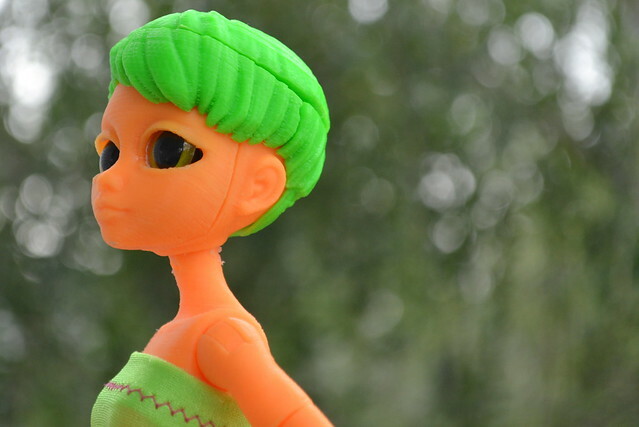 Our friends at 3DK have given us at rayedelsol.com a chance to review the new Quin head FIRST and bring you our thoughts. Thank you so much, 3DK for this opportunity! Quin’s new head prints in two different pieces. 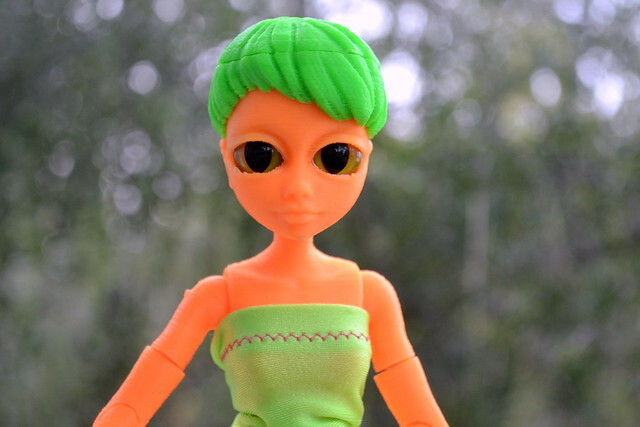 This allows you to insert 12mm doll eyes into her head, similar to a BJD. The seam isn’t very noticeable, and I think with a proper wig, you wouldn’t even see it. That weird film you see on her eyes is left-over glue. The head that 3DK sent me also comes with printable eyes. We had printed these eyes and glued them in, but I just wasn’t happy with the result. The eyes print in two pieces, a part for the whites and another for the irises. These two don’t perfectly fit (the irises are too small) and caused for some slipping. I just didn’t like the look they gave her. Edit: I’m going to add some photos of the 3D printed eyes. These have glue on them, so please don’t hold that against them. Also, I had lost my natural lighting when I snapped these photos, so her coloring may look a little off. These are 12mm doll/cat eyes that I purchased for 99 cents at Hobby Lobby. There is a tiny gap on the side of her eyes, but the eyes stay firmly in place with no glue needed. I didn’t even have to take the screw off the back of the eyes! 3DK left a place in her head for them to sit. I think this new eye mechanism (and her new wrists, thanks to Mr. del Sol) give her SO much more character! “We wanted to let you all know that we’re running behind. We really appreciate your support, and we’re working hard to get caught up. We’re sorry for the delay. We just need a bit more time! Over the next few days we’ll post pictures online so you can see our progress! I can assure you, 3DK is very busy getting Quin’s modifications perfect! I can’t wait to see what all comes from this Kickstarter project! We’ve added another reward level – this is the only level that includes a printed collector Quin doll with all the printed mods and accessories in QUIN: TO INFINITY! included. At this level, you’ll also get all the digital files to print out QUIN: TO INFINITY! yourself. Only 5 available at $200. Get yours now! 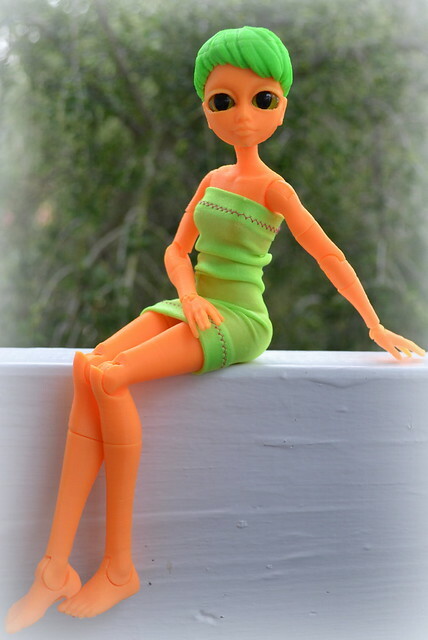 At this level, the printed doll you will receive will be a display-quality art piece. We will clean and finish her so her joints are tight and she looks optimal for display. 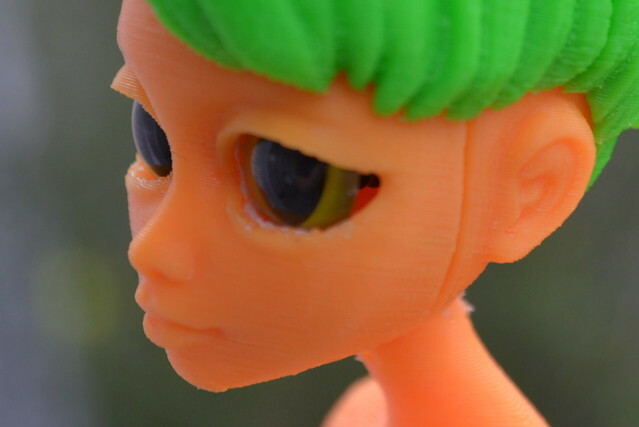 She’ll be printed using teal and aqua filament, and she’ll even have manufactured doll eyes! For $200 you’ll receive TANGIBLE and DIGITAL versions of everything in QUIN: TO INFINITY! Go and pledge! Even if you can’t get the $200 level, giving $1 or $5 helps the cause! Back the ‘To The Nines’ level or higher to help your Quin get a little more emotional! -New faces will work with the new head style. Backers at the ‘To Infinity’ and beyond, will receive (among other cosmic items) a Rocket Pack for Quin! – Pictured is not the final design. You don’t have to have a 3D printer to appreciate how awesome this is going to be. If you don’t own a 3D printer, you can still back the project at the $5 (or $10) level and help it along. There aren’t any posted rewards for doing this, but I offer my undying gratitude and a “THANK YOU!” from me for helping this along! Go to the Kickstarter and pledge accordingly. Also, check out the mentions at the top of the page. Thanks 3DKitBash for recognizing rayedelsol.com as a supporter! All of the new Quin postings and the new Kickstarter made me pick my doll back up. I’ve never really loved the Barbie outfits I had her in, so I decided to try making an outfit for her. 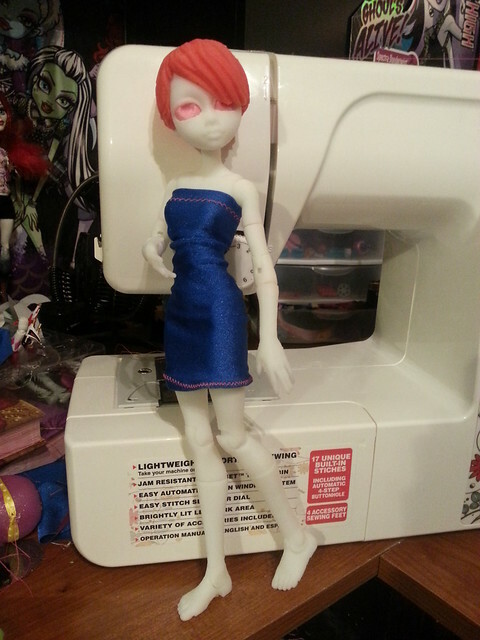 After multiple failed attempts (her body is proportioned very differently than I’m used to sewing for) I finally came up with this dress that I love.